Akshaya Tritiya also known as Akha Teej is highly auspicious day for Hindus all over the world. Akshaya Tritiya occurs on Shukla Paksha Tritiya in the month of Vaishakha. It is considered very auspicious if Akshaya Tritiya falls on a Wednesday and that day is Rohini Nakshatra day. The word Akshaya means never diminishing. Therefore if anybody performs any Japa, Yajna, Pitra-Tarpan, Dan-Punya on this day, that japa or daan-punya never diminishes and it remains with the person forever. Akshaya Tritiya 2018 falls on 18th April 2018. Akshaya Tritiya day is ruled by God Vishnu, the preserver God in the Hindu religion and this day is believed to bring good luck and success. God Vishnu along with Devi Lakshmi are worshipped on the day of Akshaya Tritiya. As per Hindu mythology, Treta Yuga began on this day of Akshaya Tritiya. Akshaya Tritiya and Parashurama Jayanti, the birth anniversary of 6th incarnation of Lord Vishnu, often falls on the same day but Parashurama Jayanti might come one day before Akshaya Tritiya day as per the starting of Tritiya Tithi. It is believed that if you buy gold on Akshaya Tritiya date, it brings prosperity and good fortune in the coming years. As it's Akshaya tritiya day, gold bought on this day never diminish and it continues to grow. Therefore, people can be seen buying gold on the day of Akshaya Tritiya. As per astrologers, Askshay Tritiya day is free from all negative effects and it is one among the three days in the year that don't need any Muhurta to perform any auspicious work. Alongwith Askshaya Tritiya day, Yugadi and Vijay Dashami are the other two days when any auspicious work done on these days would give beneficial results. Marriage ceremony, house warming ceremony, purchasing of new clothes and jewelry, buying new vehicle or purchasing property, etc. are performed on Akshaya Tritiya day. 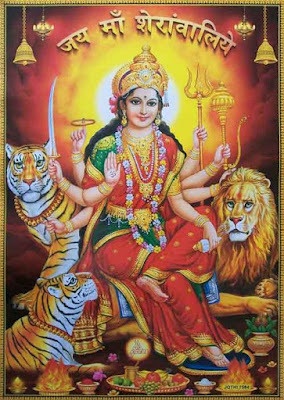 There are four Yugas as per Hinduism - Satya Yuga, Treta Yuga, Dwapar Yuga and Kali Yuga. Akshaya Tritiya is the day when Satya Yuga got over and Treta Yuga began. Origin of Akshaya Tritiya is significant in Hinduism. Many Hindus perform Hawan, take bath in the sacred rivers like Ganga and visit temples and holy places on this day. Hindu people also do Tarpan for their deceased ancestors on the auspicious day of Akshay Tritiya.